The Normandin Mercier Vieille Fine Champagne Cognac is a VSOP quality blend created from eaux-de-vie from both Grande Champagne and Petite Champagne. Many of the cognacs included in the blend have been aged for around 15 years, although some are younger, hence its VSOP classification. 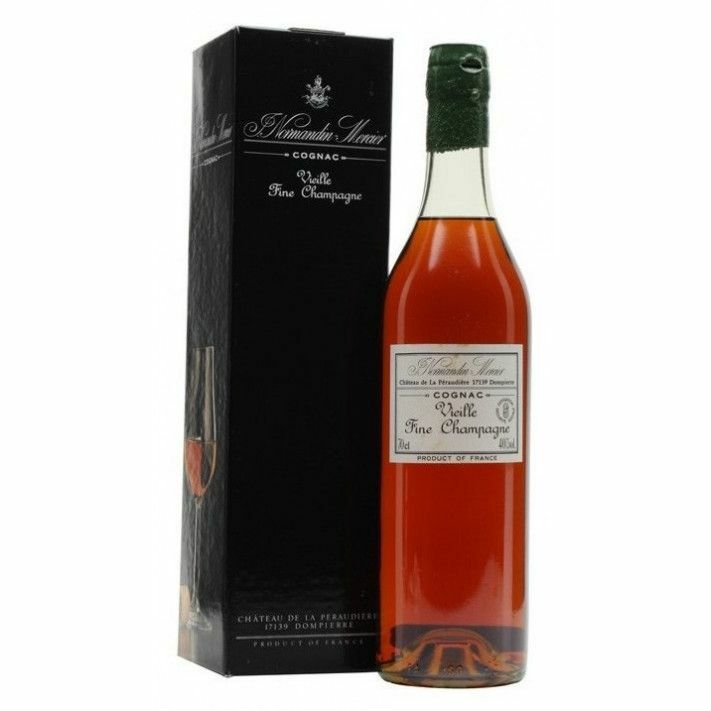 It's a lovely amber color - a very fruity cognac with aromas and tastes of plum and almonds. Presented in a traditional style cognac bottle with a label to match. Perfect to enjoy as a digestif after a good meal. The cognac was also awarded a silver medal at the 2016 International Wine and Spirit Competition.